Do you have a usage guide in your classroom or home? You should! 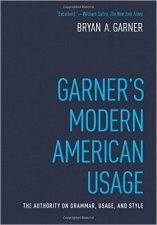 I'll show you what you can learn from Garner's Modern American Usage. What Is A Usage Guide? Usage guides address problematic or frequently misused words and phrases, and they tell you what is right or wrong (or somewhere in between) according to Standard English. Standard English is the prevailing view among educated speakers and writers of what is right and wrong. For example, let's say you're unsure of whether it's between John and I or between John and me. That's something that you can't find in a dictionary, but you can find in a usage guide. My usage guide sits on my desk and gives me friendly guidance - telling me why I should or shouldn't use a word or phrase, or how widely accepted that word or phrase is right now. Language changes over time and so does Standard English. Although authors of usage guides may have their own personal usage instincts or preferences, they view their job as reflecting the current consensus of educated speakers and writers. 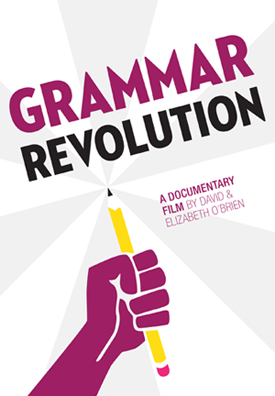 Bryan Garner says, "What a good usage book does... is to give a snapshot of the language as it currently exists." David and I interviewed Bryan Garner a few years ago when we were gathering footage for our grammar documentary. Meeting and interviewing him was one of the highlights of the project! Bryan Garner also wrote the grammar and usage section in the Chicago Manual of Style.